Inventory control is vital to the survival of a distribution company business. If you don’t have a good inventory management system you can never truly account for how your business is doing. Dynamics GP can track lot numbers and serial numbers of the products in your inventory. Did you know that this feature is NOT included in many low-end financial solutions? There’s a point in Dynamics’ court. This can give you fine-grained control over the exact product that enters or leaves your warehouse, and can also help track product recalls and warranty claims from your suppliers. Dynamics GP allows you up to 5 different costing measures – which can be done at item level if needed. In other words, not every item in your inventory has the same markup, or the same formula applied to arrive at a retail price. For example, an owner of a franchised electronics store once said that while he made a little money on the high dollar items (computers and accessories), the real money was in the 89¢ transistors and other basic electronic parts. That is to say, he definitely had different costing methods depending on his products! Then you can expand into the add-ons. Would you like a robust sales and customer-service platform to integrate with your inventory management solution? Look no further than SalesPad. It delivers an all-in-one order entry, inventory, purchasing, and sales management solution that integrates seamlessly with Dynamics GP. It allows for data collection which can assist in automating of inventory movements, reducing labor and human error. These days, many distribution companies are purchasing product overseas. Now, you own it when you buy it, but how do you account for product that’s not physically in your warehouse? You can configure a “site” to be the ship in which the product is being transported – that is to say, you’ll be able to track your product as inventory while it’s still on the water. Landed cost is another important feature to look for in inventory management. What does that mean, exactly? Say you purchased product XYZ in a lot of 100 for $5.00 each, but the following month you got another 200 units at $5.00 each because you needed them right away you incurred extra shipping charges. Now both lots are on the shelf in your warehouse – and with landed cost, you can keep accurate records of your costs on the 2nd lot at the higher cost because of extra shipping or things like changing tariff fees. Cycle counting is the lifeblood of any inventory management process – if you don’t have a way to verify the quantities of products on the shelf, how can you say you’re accurate? Yet, shutting down and counting every so often can be a major labor cost. Dynamics GP, with the help of SalesPad, can really simplify this process and even allow it to take place in the midst of daily operations, and with automation, in order to leverage time and employee resources. These are just a few advantages of implementing Dynamics GP as a comprehensive solution to your inventory management dilemmas, while reaping a host of other productivity enhancements and cost-saving measures throughout your enterprise. Read success stories of companies using these inventory features in Microsoft Dynamics GP with SalesPad. 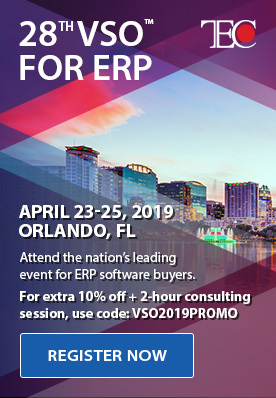 If you a distribution company that is evaluating ERP software, contact the distribution experts at CAL Business Solutions at 860-485-0910 x4 or [email protected]. 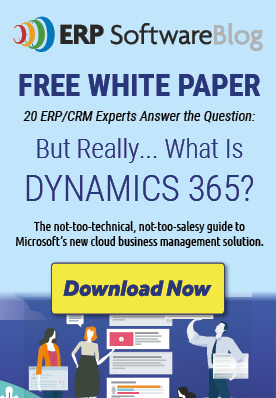 How Many Trees Have These 4 Microsoft Dynamics GP Users Saved?